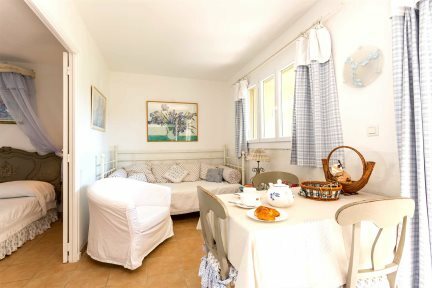 The location couldn't be more convenient - Le Home apartments nestle in luxuriant gardens in the heart of Calvi with a number of bars, restaurants & shops just a stroll away. 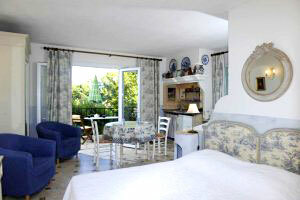 The perfect place for couples seeking a tranquil & comfortable holiday home in the heart of Calvi. 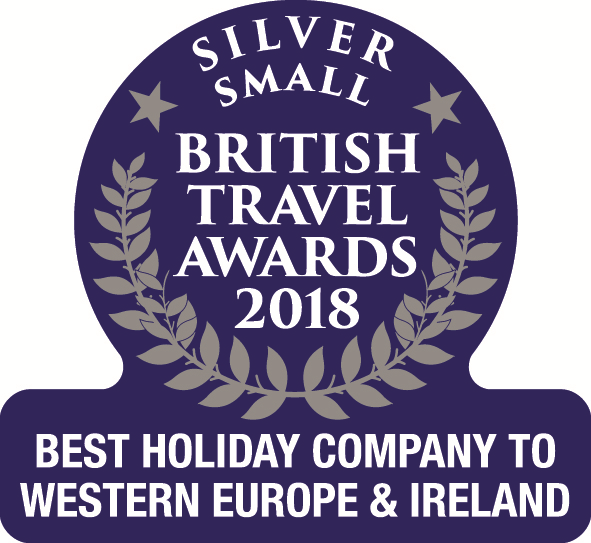 Le Home has been a favourite with British holiday-makers for many years, providing a great value for money option for couples in particular. All 40 apartments are set within spacious and immaculately kept gardens in a peaceful location, yet just a short walk from the fabulous beach and the amenities of Calvi. The English speaking owners, Marie-Laure and Christophe, are always on hand to help and it is clear to see how passionate they are about their properties and gardens. With skillfully landscaped grounds as well as an abundance of flowers, plants and trees, evidently much care and attention has been put into the properties making them a real little oasis in the middle of town. The apartments provide a real home-from-home; each is sympathetically furnished and individually styled with personal touches and a great deal of care. They all differ in size, all have air-conditioning and most have views over the gardens or one of the swimming pools from a balcony or terrace – the perfect retreat for the inevitable Corsican apéritif or one of those long lunches. 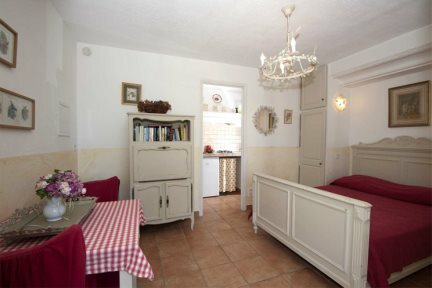 The kitchenettes are functionally equipped with a hob and microwave, however, there are numerous shops, restaurants and bars within a 10-minute walk. Studios: Open-plan living area with kitchenette, double or twin bedroom, shower room with wc, balcony or terrace. One bedroom apartments: Open-plan living area with kitchenette, double or twin bedroom, shower room with wc, balcony or terrace. Two shared pools (main pool 10.5m x 5m, second pool 8m x 4m), parking, microwave, air-conditioning, Wi-Fi available in the gardens and pool area. Open plan living area with kitchenette, twin or double bed, shower room, balcony or terrace. Please note that the studios do differ slightly in size and shape. 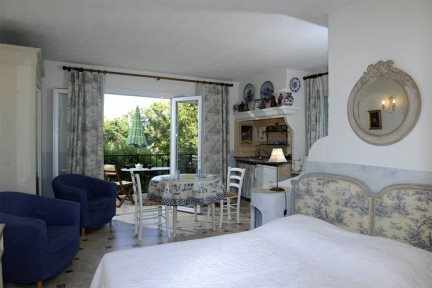 Small open plan living area with kitchenette and sofa, double or twin bedroom, shower room, balcony or terrace. Please note that the apartments do differ slightly in size and shape. Open plan living area with kitchenette and sofa bed, double or twin bedroom, shower room, balcony or terrace. Please note that the apartments do differ slightly in size and shape.